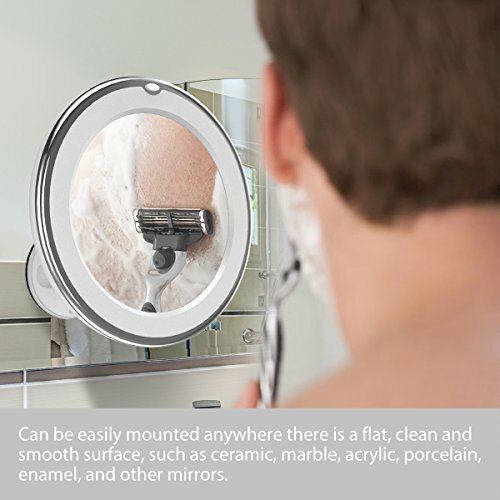 Do you have trouble with the details when you doing makeup or grooming? 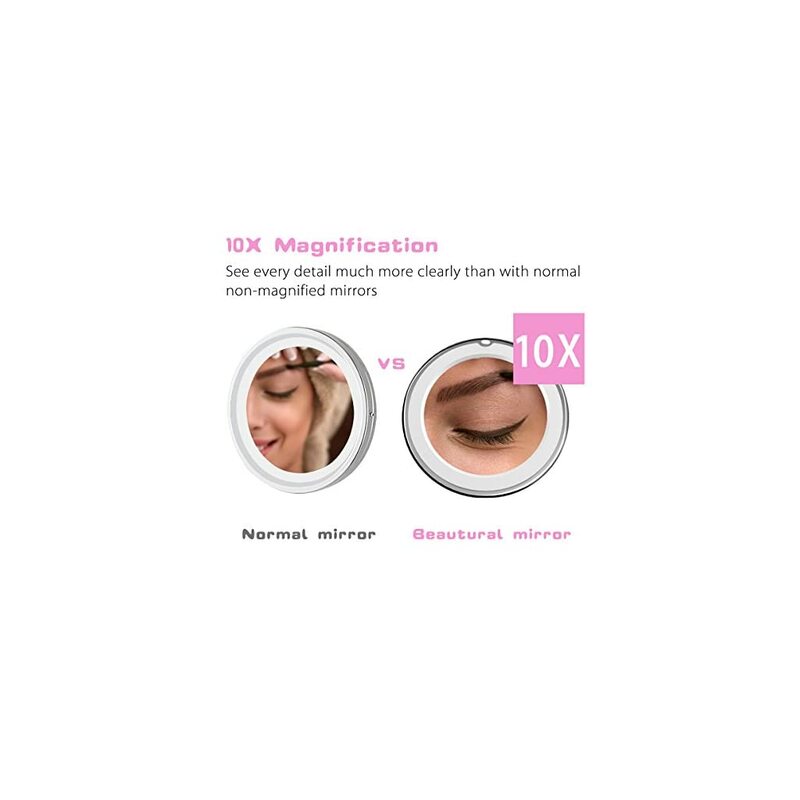 Are you able to make sure your makeup in exact right place? 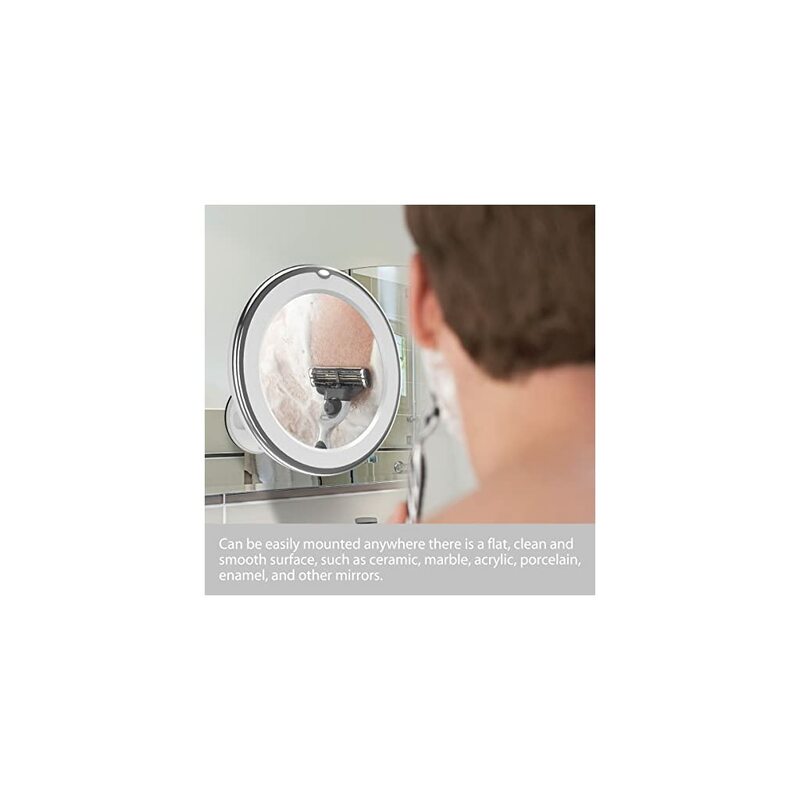 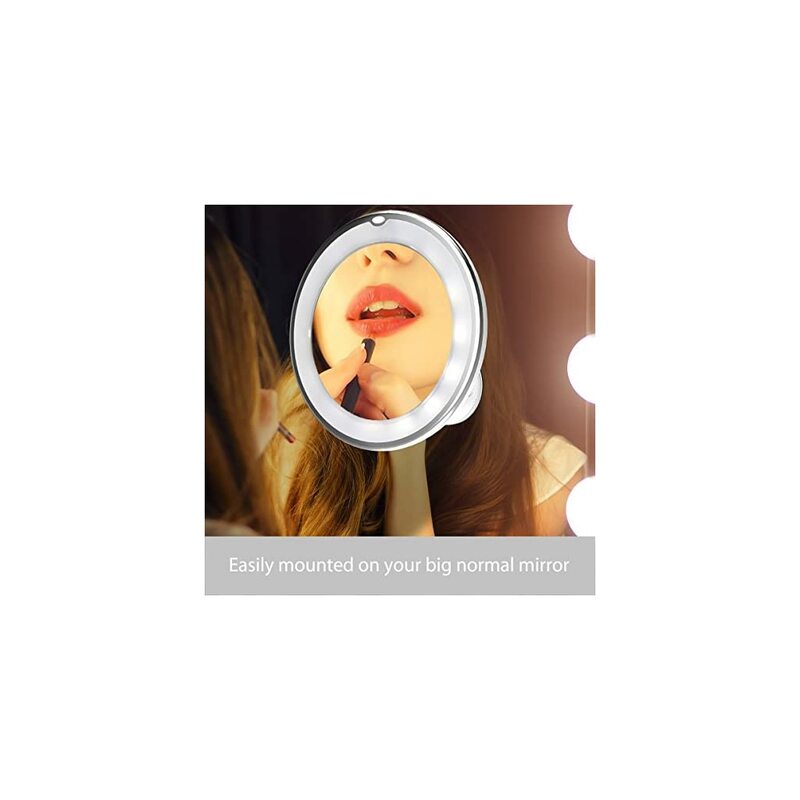 Our makeup mirrors offers 10x magnifications zoom and lighted options so we can enable you to groom and apply makeup flawlessly. 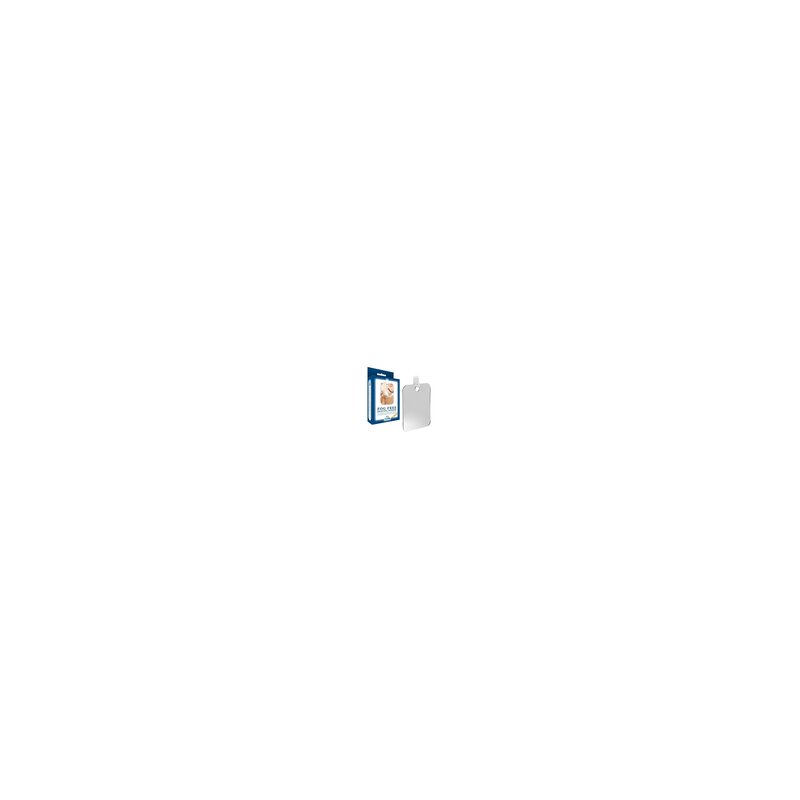 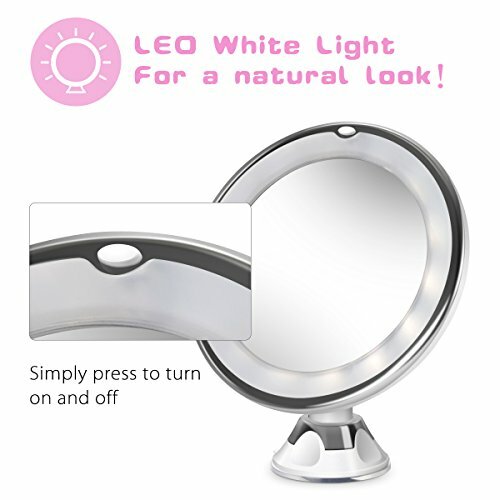 Do not hesitate to shop for it! 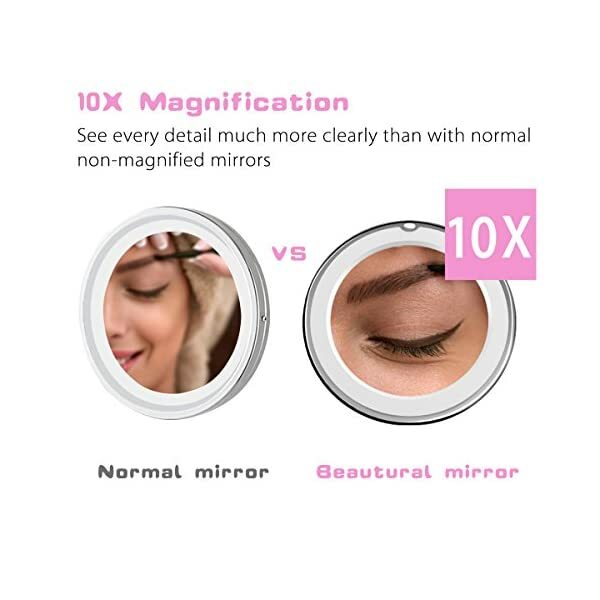 10 times magnification is ideal for more detailed jobs like eyebrow tweezing, contact lenses replacing. 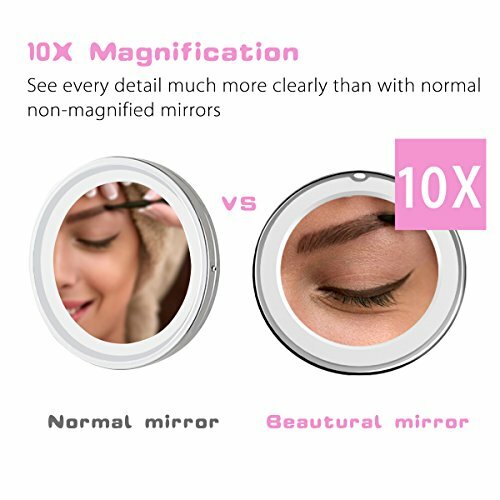 Magnification can also help one examine your pores to ensure makeup isn’t clogging them too much or causing blackheads. 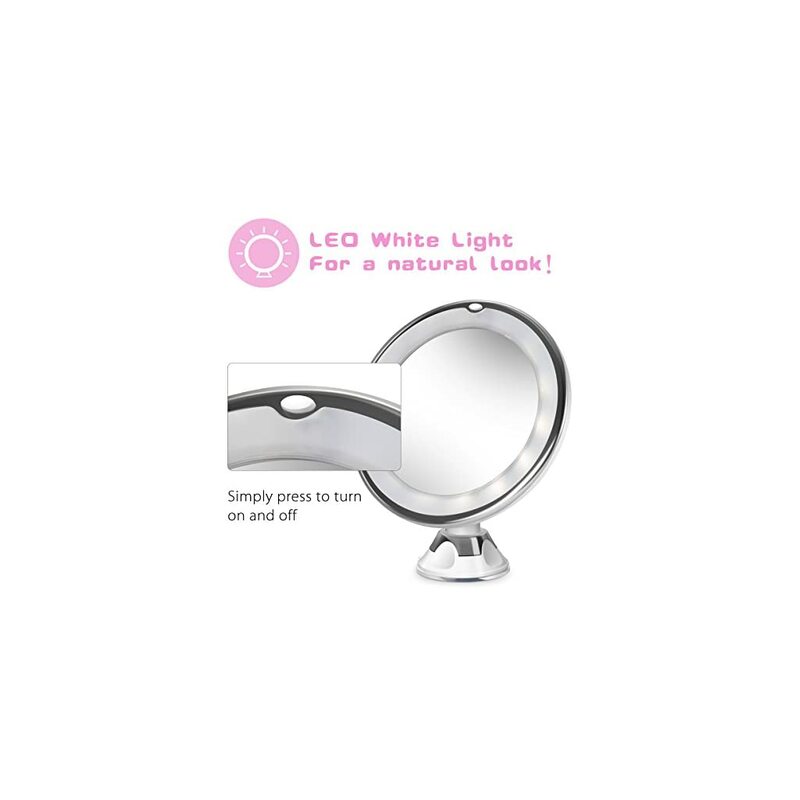 The natural bright LED is easy on the eyes and provides a soft, white light to highlight every detail of your hair and makeup, no shadows. 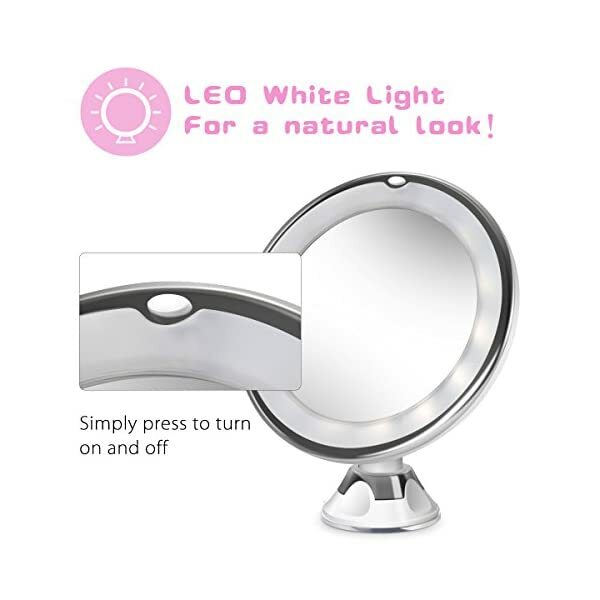 It also allows the mirror for use in very dark environments. 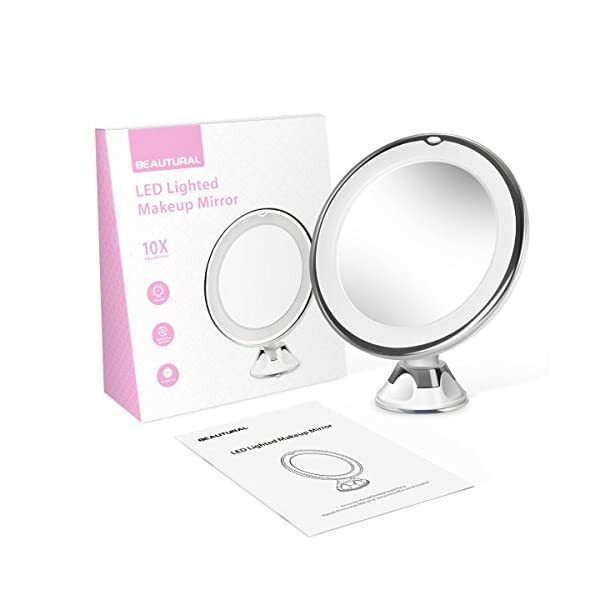 You CAN just place it on a vanity table, or mount it on a surface which is flat, clean, dry, smooth and free of grease (WILL NOT stick to surfaces such as drywall, wallpapers, stucco, or any textured walls); free your hands to do better makeup. 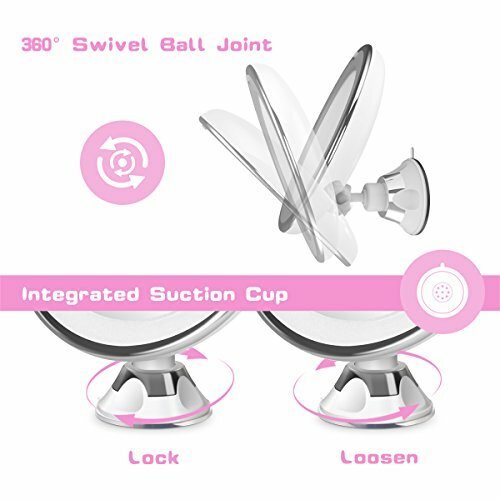 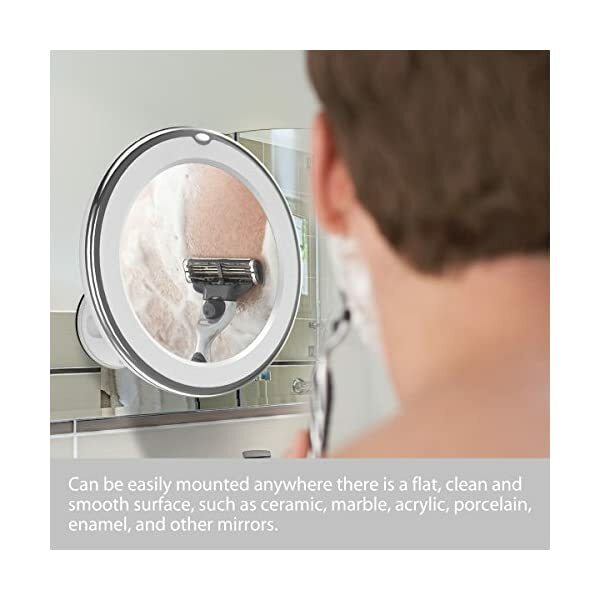 The suction cup has a locking mechanism to safe the mirror, turning the mirror’s base in a clockwise direction to lock it, and anti-clockwise to release it. 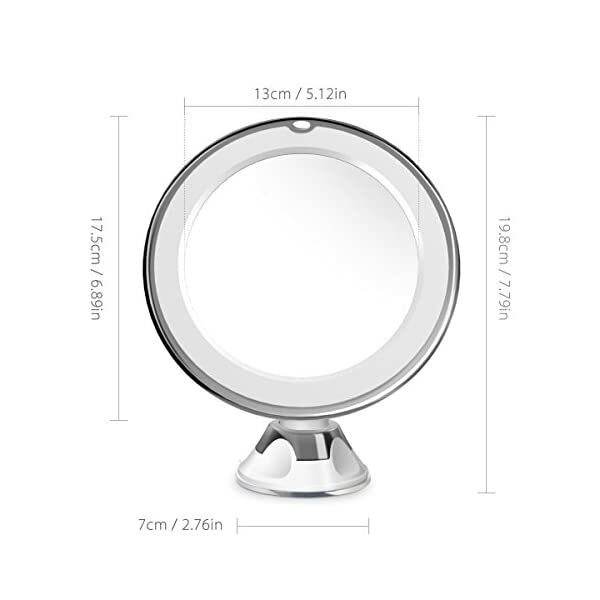 Jointed with a small base, may not take up much room, idea for your vanity table. 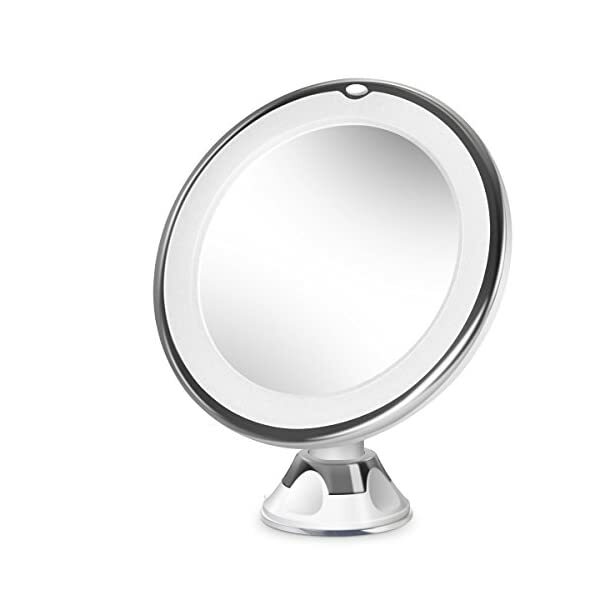 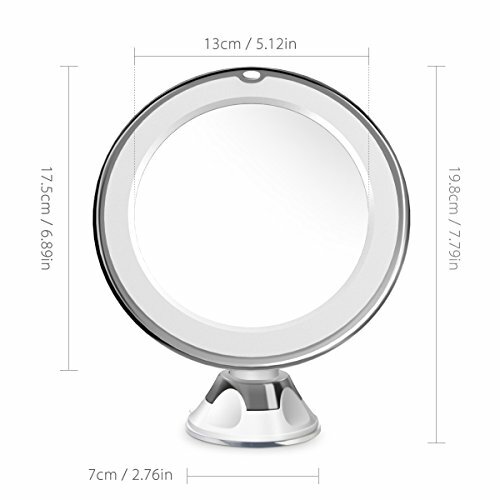 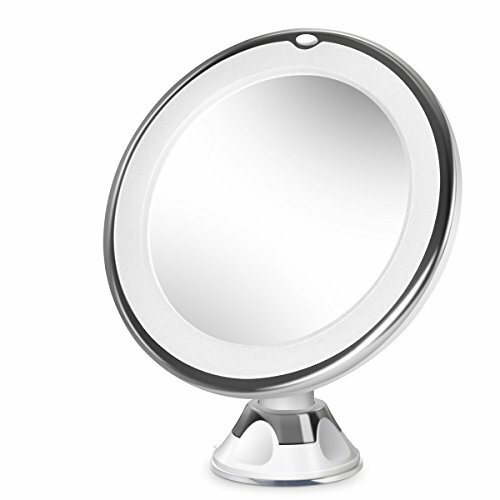 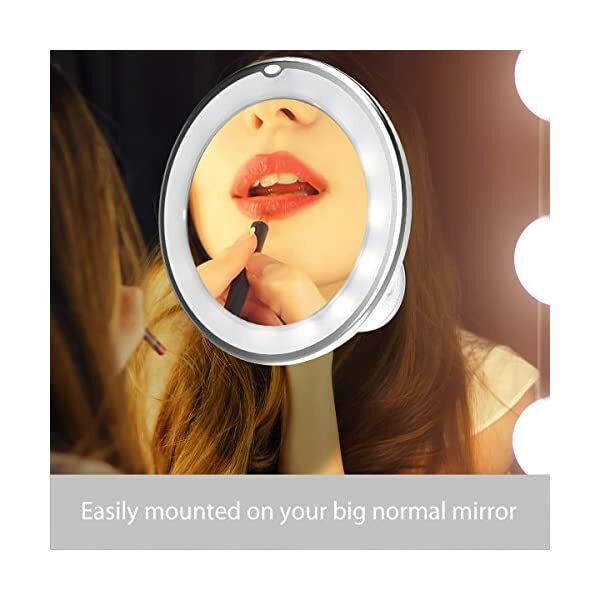 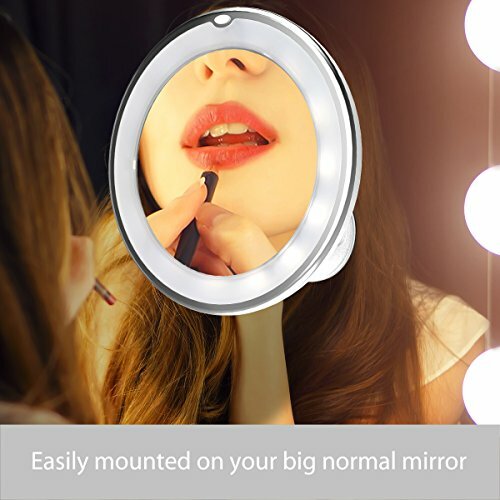 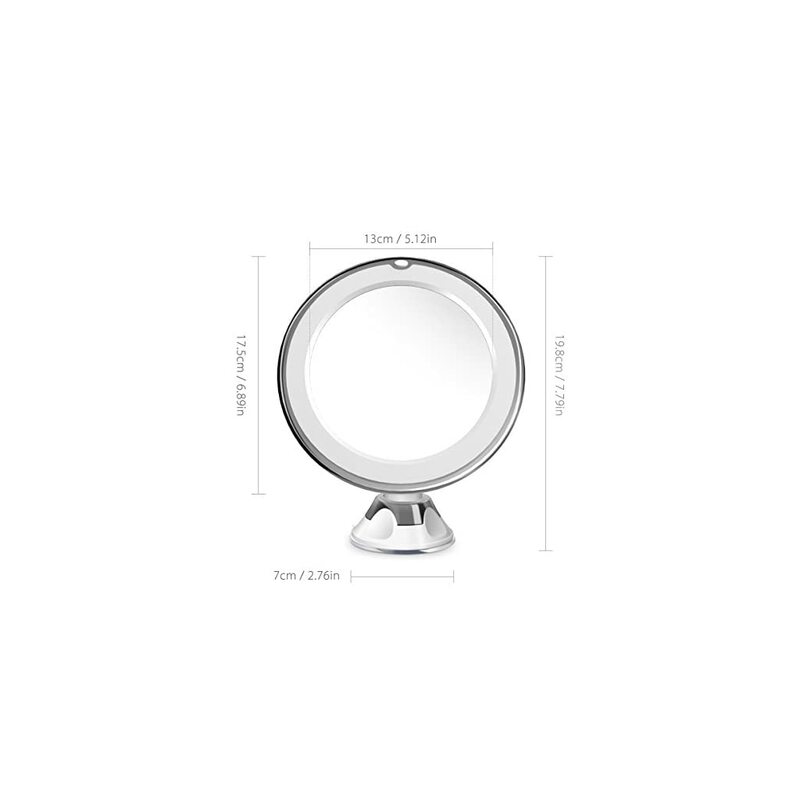 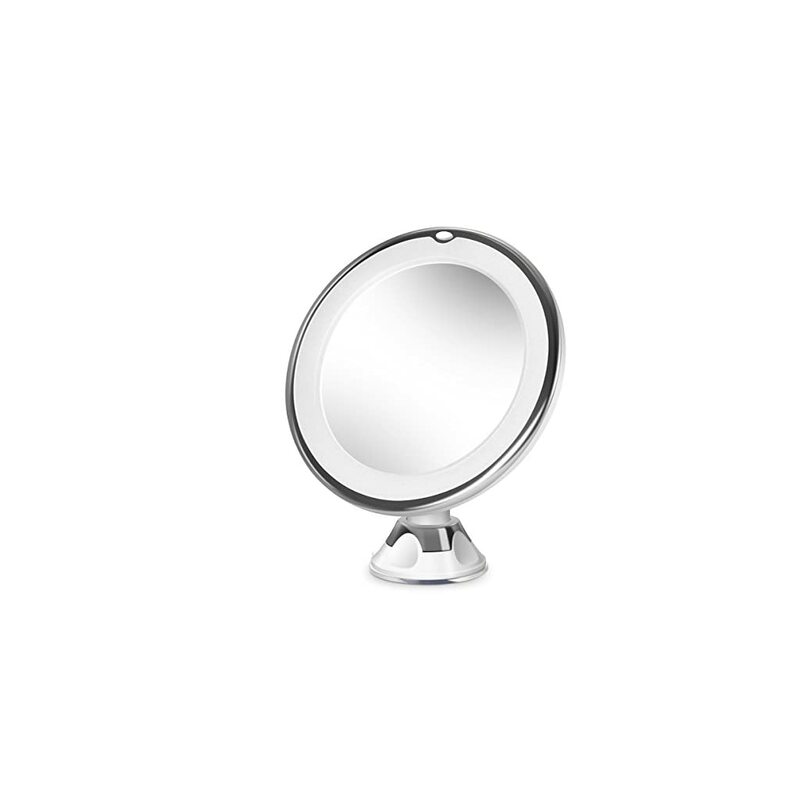 Wireless / Cordless, powered by 3 x AAA batteries (Not included), you’ll be able to take it with your travelling, never worry again that you’ll be able to’t find a good mirror in hotels. 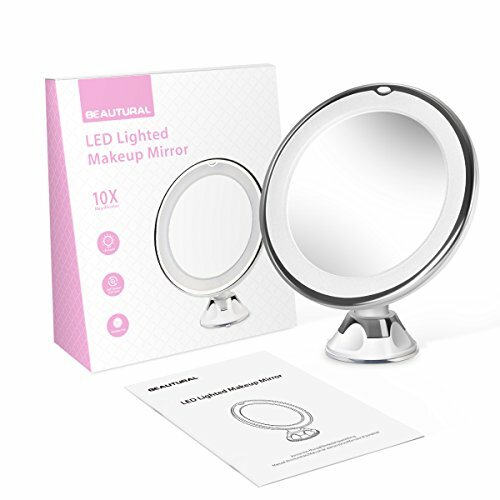 Here at Beautural, we stand by our products 100% with 30-days full refund and 12-months warranty. 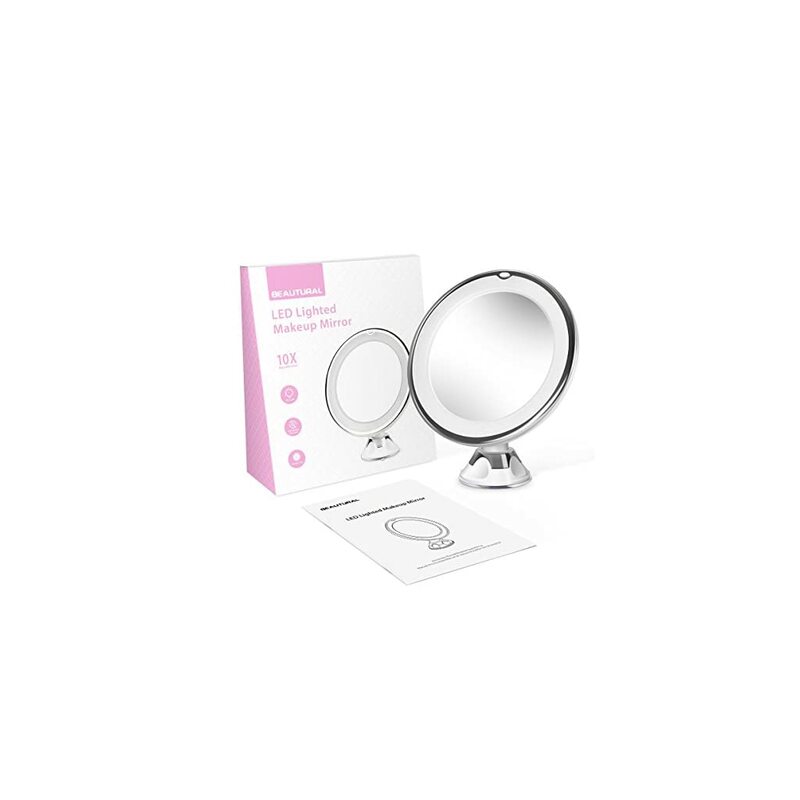 A happy purchasing experience is our #1 priority and we will be able to happily send you a replacement if any issues arise.